President Donald Trump’s nominee for attorney general faces a Senate committee Tuesday in what could turn into a proxy fight and speechifying over the probe of Russia’s meddling in the 2016 election. Nominee William Barr, who was attorney general 27 years ago, will act to head off some questions from Democrats on the Senate Judiciary Committee by calling it “vitally important” that special counsel Robert Mueller complete his investigation of Russia’s interference and any cooperation from the Trump campaign. “For that reason, my goal will be to provide as much transparency as I can consistent with the law,” Barr plans to say in his prepared remarks for the committee, according to NBC News. “I can assure you that, where judgments are to be made by me, I will make those judgments based solely on the law and will let no personal, political or other improper interests influence my decisions,” Barr says in the prepared text. Barr previously has been critical of the Mueller probe, sending a memo about it to Deputy Attorney General Rod Rosenstein in 2017. In it, he said the Uranium One scandal surrounding Hillary Clinton might merit an investigation more than alleged collusion between Trump and the Russians. Senate Minority Leader Charles Schumer, D-N.Y., earlier called on Trump to withdraw the Barr nomination, contending he was too partisan. Barr, 68, was attorney general under President George H.W. Bush from Nov. 26, 1991, to Jan. 20, 1993. Before that he was deputy attorney general beginning in May 1990. 1. What About Barr’s Mueller Memo? Barr, as a former attorney general, sent a unsolicited memo to Rosenstein in June 2018 that was critical of one aspect of the Mueller probe. Specifically, Barr didn’t view the Mueller probe of obstruction of justice to be legitimate. The special counsel reportedly was investigating Trump’s firing of James Comey as FBI director and his telling Comey that he hoped the FBI director wouldn’t pursue a case against Michael Flynn, his short-lived national security adviser. In his memo to Rosenstein, Barr said he was “in the dark about many facts” that Mueller was privy to, but based his view on publicly reported information. I know you will agree that, if a DOJ [Department of Justice] investigation is going to take down a democratically elected president, it is imperative to the health of our system and to our national cohesion that any claim of wrongdoing is solidly based on evidence of a real crime—not a debatable one. It is time to travel well-worn paths; not to veer into novel, unsettled or contested areas of the law; and not to indulge the fancies by overly zealous prosecutors. 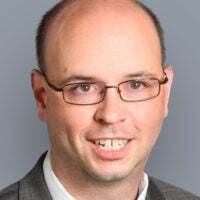 Barr’s memo has been misread by some, Gregg Nunziata, the former Republican chief nominations counsel to the Senate Judiciary Committee, told The Daily Signal. “The memo doesn’t say the president is above the law or that he can’t be prosecuted for obstruction of justice. It explicitly says the president can be prosecuted. It argued a very narrow legal point, which I agree with,” said Nunziata, who played a key role during the George W. Bush administration in the Senate confirmations of two men on the Supreme Court—Chief Justice John Roberts and Justice Samuel Alito—as well as Attorney General Michael Mukasey. The memo from Barr is not inconsistent with letting the Mueller probe continue, said Kendall Coffey, a former U.S. attorney for the Southern District of Florida. Barr has a stellar reputation, Coffey added, and doesn’t need the job of attorney general again. He said he doubts Barr has any motivation to kill Mueller’s Russia probe. Rosenstein’s saying that he would leave the Justice Department after the Mueller probe wraps up is helpful, said Cleta Mitchell, an election lawyer in Washington who has worked for the Republican Senatorial Campaign Committee and the National Rifle Association. 2. Will Barr Recuse Himself? Trump was highly public about his outrage that his first attorney general, Jeff Sessions, recused himself from the Russia investigation and allowed it to continue. Sessions was an early supporter of and participant in Trump’s 2016 campaign. So Democrats could be inclined to ask any Trump nominee for attorney general to recuse himself from overseeing the probe. Legal experts say that’s not the best option. “Bill Barr should stick to his guns on his critique of the Mueller investigation,” Mitchell said regarding the Judiciary Committee hearing. Going forward, she said, Barr should oversee Mueller as he would any other Justice Department prosecutor. It’s not likely Barr will give Democrats on the Judiciary Committee exactly what they are seeking—which would be assurance of a complete hands-off approach, said Curt Levey, president of the Committee for Justice, a conservative legal group. Coffey concurred that Barr would allow Mueller to complete the probe, but would exercise oversight. 3. What of Hillary, the Clinton Foundation, and Uranium One? Trump and some Republicans in Congress repeatedly have vented frustration that the Justice Department apparently wasn’t investigating legal questions surrounding Hillary Clinton, Trump’s Democratic opponent in 2016. Questions about potential legal conflicts emerged regarding Clinton decisions as secretary of state and donors to her family’s Clinton Foundation. Barr told The New York Times in 2017 that there was nothing wrong with Trump’s calling for an investigation into the Uranium One scandal. The mining company Uranium One contributed $2.4 million to the Clinton Foundation during Clinton’s four-year tenure as secretary of state under President Barack Obama, the Times reported in 2015. Figures associated with the mining company also paid $500,000 to former President Bill Clinton to speak in Moscow. In a 2010 deal approved by a government committee including Hillary Clinton and eight other members of Obama’s Cabinet, a Kremlin-connected entity obtained 20 percent of America’s uranium production by acquiring Uranium One from a Canadian company. Levey predicted that the Clinton Foundation and Uranium One would emerge as an issue in Barr’s confirmation hearing. However, he said he isn’t sure it would help either Democrats or Republicans on the committee. It’s possible that Sen. Ted Cruz of Texas or another Republican might bring up the Clinton-Russia tie, he said, noting that many House Republicans have talked about it. 4. Do Iran-Contra Pardons Provide a Clue? 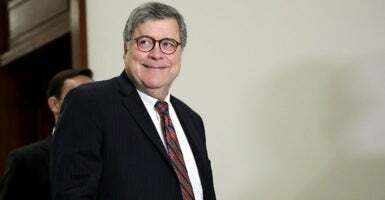 Most of Barr’s time as attorney general wasn’t controversial. However, his advice to the elder Bush on pardoning figures in the Iran-Contra scandal likely will be the other major issue, alongside the Mueller questions, said John Malcolm, director of the Meese Center for Legal and Judicial Studies at The Heritage Foundation. As attorney general, Barr has said, he urged Bush to pardon several figures in the Iran-Contra scandal that erupted during Ronald Reagan’s presidency when the administration sold arms to Iran to help finance rebels in Nicaragua. The senior Bush’s most notable pardon was of former Defense Secretary Caspar Weinberger, who was indicted in an October surprise before the 1992 presidential election, which Bush lost to Bill Clinton. “I went over and told the president I thought he should not only pardon Caspar Weinberger, but while he was at it, he should pardon about five others,” Barr said in 2001. Barr told journalist Bob Woodward, in an interview for the 1999 book “Shadow: Five Presidents and the Legacy of Watergate,” that he considered removing Iran-Contra independent counsel Lawrence Walsh for “misconduct” in 1992 after the Weinberger indictment seemed motivated by the election. He told Woodward he ultimately opted against removing Walsh. However, if Democrats try to tie Barr’s Iran-Contra advice to the current probe, it could be politically risky, Levey said. Last fall, the Senate weathered divisive confirmation hearings for Supreme Court Justice Brett Kavanaugh. Coffey, the former federal prosecutor from Florida, said he expects a “handful” of Democrats to vote for Barr. “It’s going to be a partisan crossfire, but much more civil than the now-Justice Kavanaugh hearing,” Coffey said. “I think the senators know the Kavanaugh process was bruising and no one wants more ‘Spartacus’ moments,” he said, referring to remarks made by Sen. Cory Booker, D-N.J. Even if that’s the case, it’s a far cry from the unanimous confirmation vote Barr got in 1991 to become attorney general. Besides Booker, committee Democrats include Mazie Hirono of Hawaii, Kamala Harris of California, and Amy Klobuchar of Minnesota.